Rosencrantz and Guildenstern Are Dead is one of the most enduring and frequently performed plays of contemporary theater and has firmly established itself in the dramatic canon. Acclaimed as a modern masterpiece, it is the fabulously inventive tale of Hamlet as told from the worm's-eye view of the bewildered Rosencrantz and Guildenstern, two minor characters in Shakespeare's play. In Tom Stoppard's best-known work, this Shakespearean Laurel and Hardy finally get a chance to take the lead role, but do so in a world where echoes of Waiting for Godot resound, where reality and illusion intermix, and where fate leads our two heroes to a tragic but inevitable end. Revised and reissued to commemorate the fiftieth anniversary of the play's first performance, this definitive edition includes a new introduction and previously unpublished ancillary material. 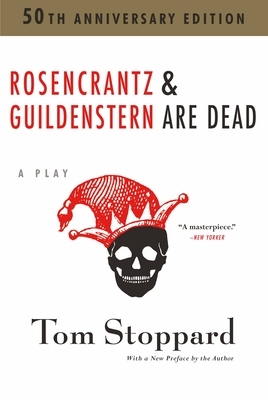 Tom Stoppard is the author of such seminal works as Rosencrantz and Guildenstern Are Dead, Jumpers, The Real Thing, Arcadia, The Invention of Love, and the trilogy The Coast of Utopia. His screen credits include Parade's End, Shakespeare in Love, Enigma, Empire of the Sun, and Anna Karenina.